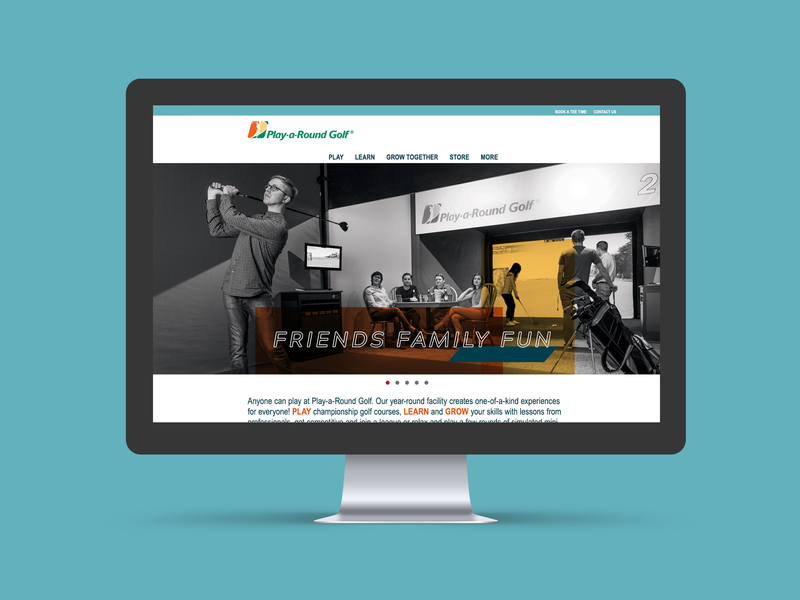 Play-a-Round Golf is an indoor golf facility with two locations on the Main Line. 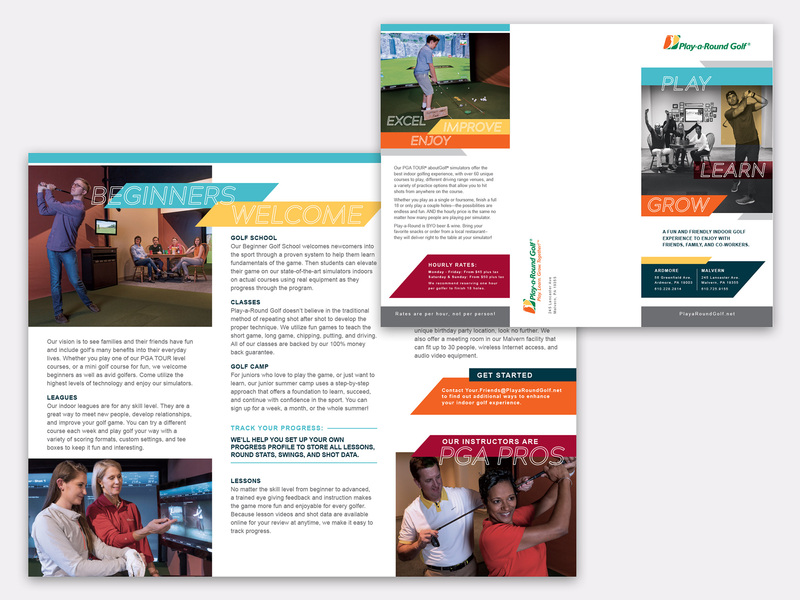 Revamp an existing brand to attract a larger clientele. 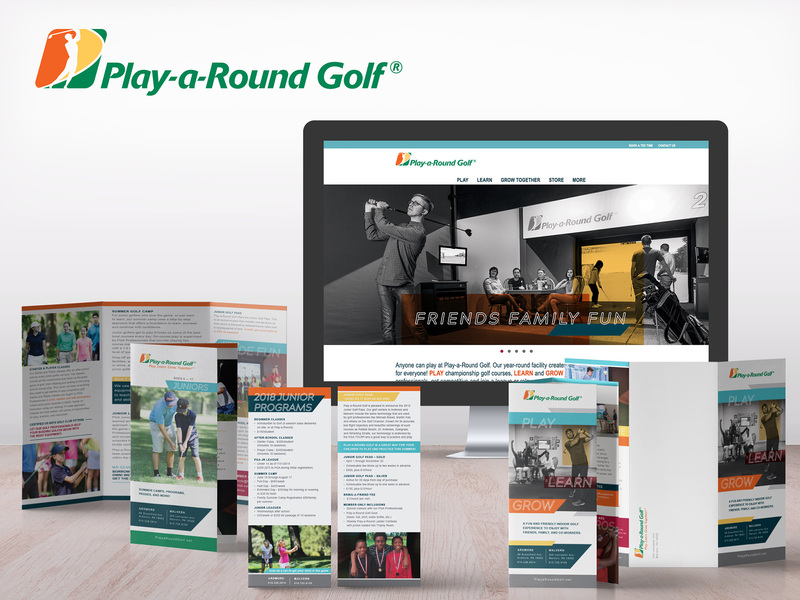 We modernized Play-a-Round’s branding to appeal to a wider demographic by adding bright colors and photography featuring children, teens, and men and women enjoying Play-a-Round’s indoor facilities. 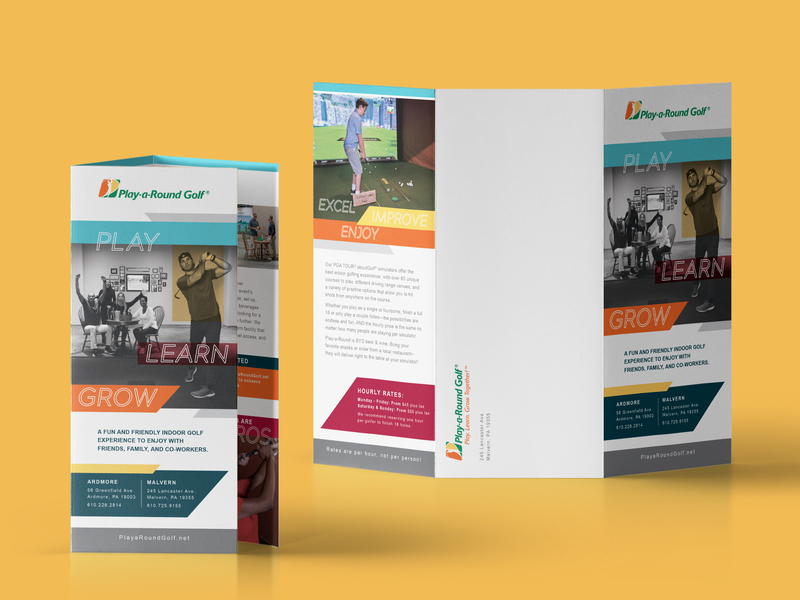 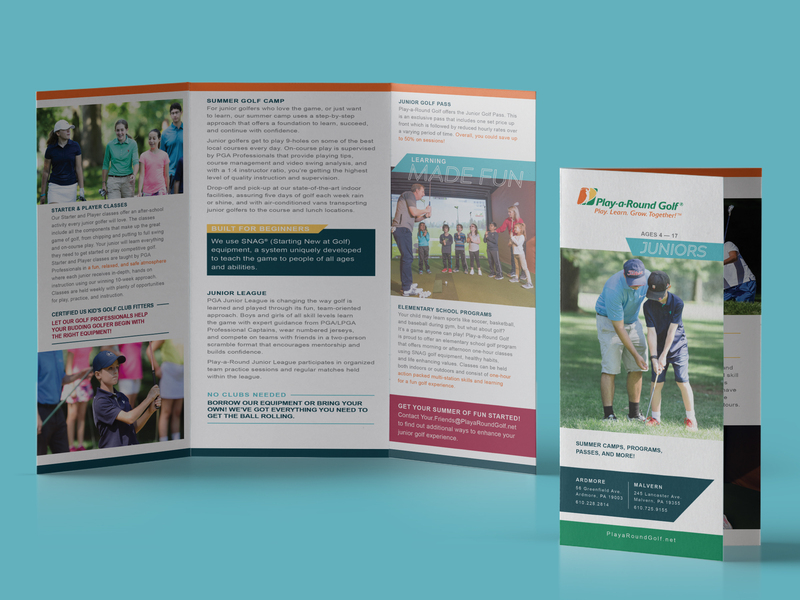 Using the professional photographs we took at the commissioned photo shoot, we were able to showcase new images that communicate the excitement and joy of learning and playing golf.